Last week, my seven year old daughter and I enjoyed a girly mother and daughter afternoon with a visit to Emily's Paint A Pot in Next, Manchester Arndale. 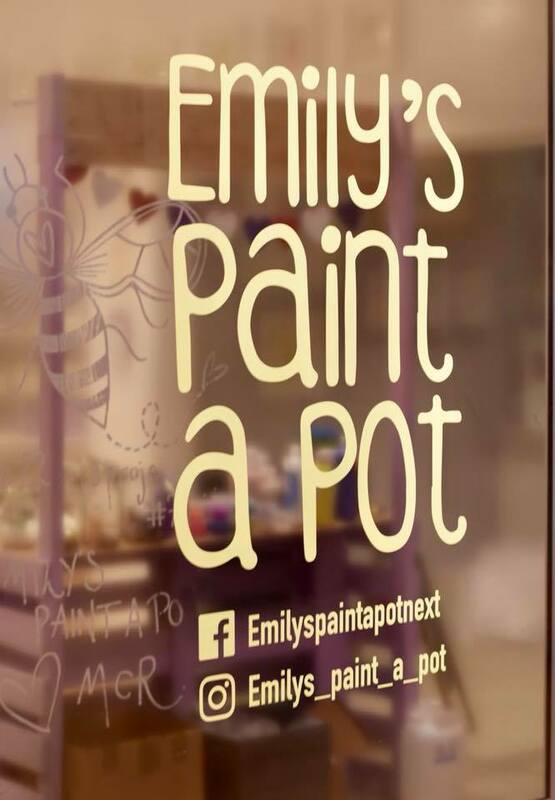 We first visited Emily's Paint A Pot in their previous location in Prestwich, however the new studio is perfectly located in Manchester City centre, ideal for shopping trips or to combine with lunch out and so handy to get to on public transport. Found on the ground floor of the shiny new flagship Next store in Manchester city centre, the fabulous studio offers a great selection of pottery figurines to paint as well as a variety of other crafty options including slime making and clay impressions. 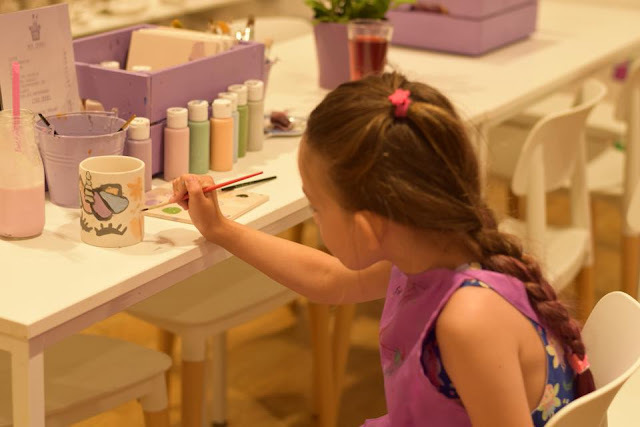 You can just turn up at the studio when you have a hankering for some pottery painting fun, however it is recommended to reserve a spot during busy periods such as the summer holidays. 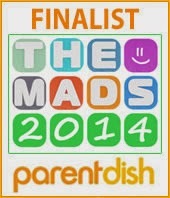 You can do this online for just £2 deposit. 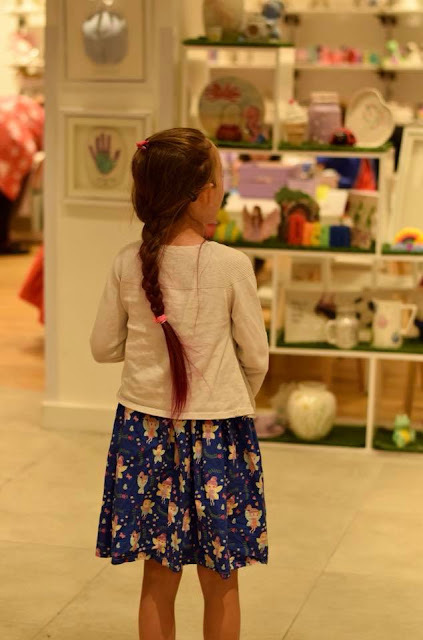 When we arrived, we were greeted with a friendly smile and taken through the options available, the staff member was sweet with Elizabeth, even when she took (what felt like!) half an hour to decide on what to decorate and what paints to use! 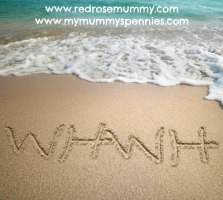 With a decision (finally!) made, we were given aprons and seated then it was now down to Elizabeth to decide what to paint on her mug. 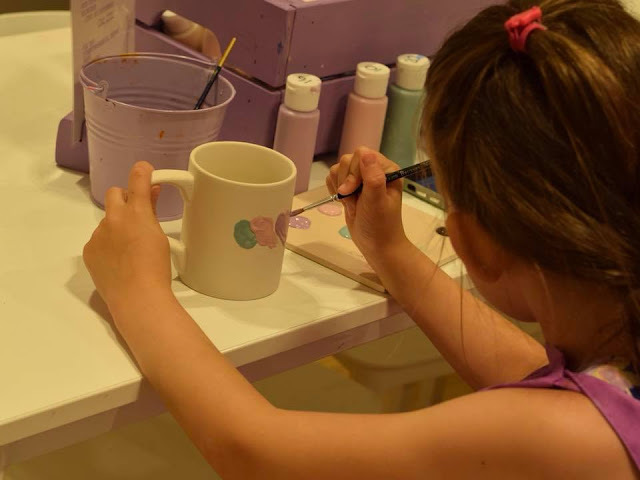 It came to no surprise to me that unicorns and rainbows featured heavily in her mug design! We had a pretty lilac wooden box of water based paints on the table with us and each bottle had a number on the lid which corresponded with a painted flag on the wall. 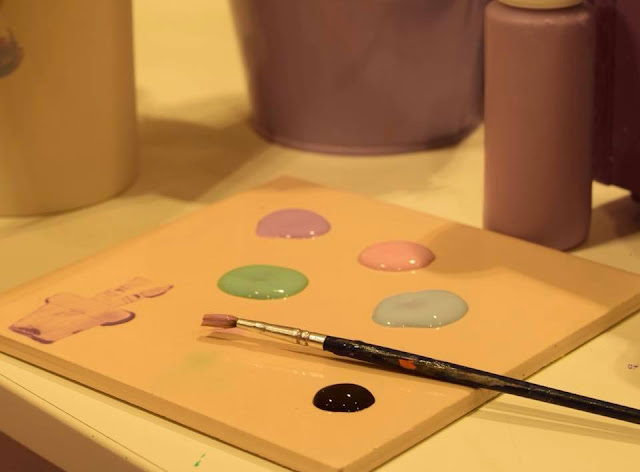 This showed us what the colour would be like once dry and finished. 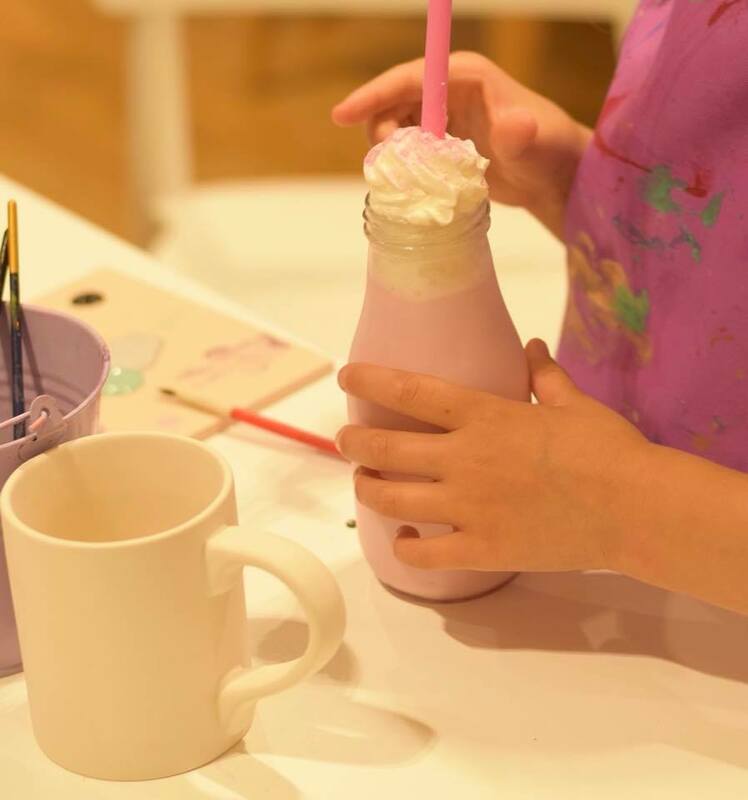 Another addition to the table was the drinks menu, and after a few minutes our hostess came over to take our drinks order, the prices were very reasonable with a milkshake just £1.50 and a fruit tea less than £2. Once Elizabeth had added the final touches to her masterpiece, it was taken away to dry and we were given a ticket to collect it a week later. 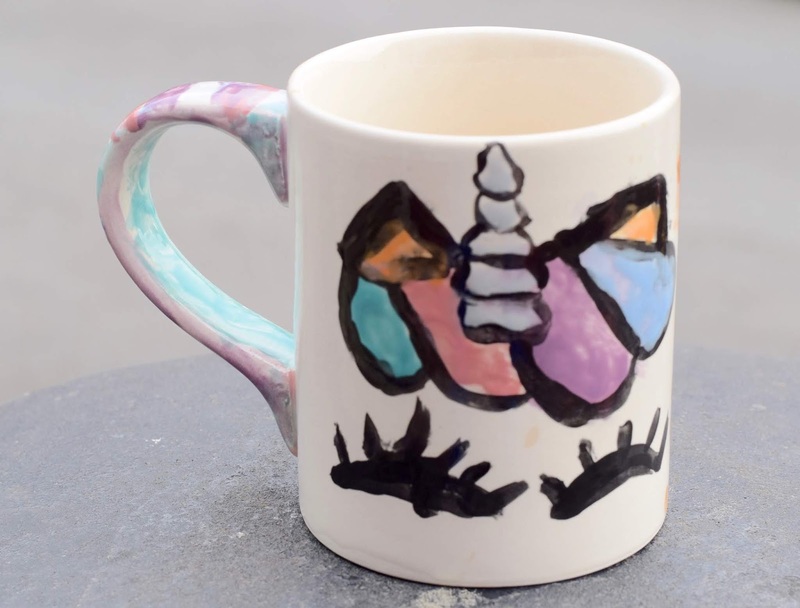 As well as this option, Emily's Paint a pot also allows you to choose different types of paint so your masterpieces can be taken home on the same day, however if these were selected for a mug it would be a decoration only piece and could not be used to drink from. 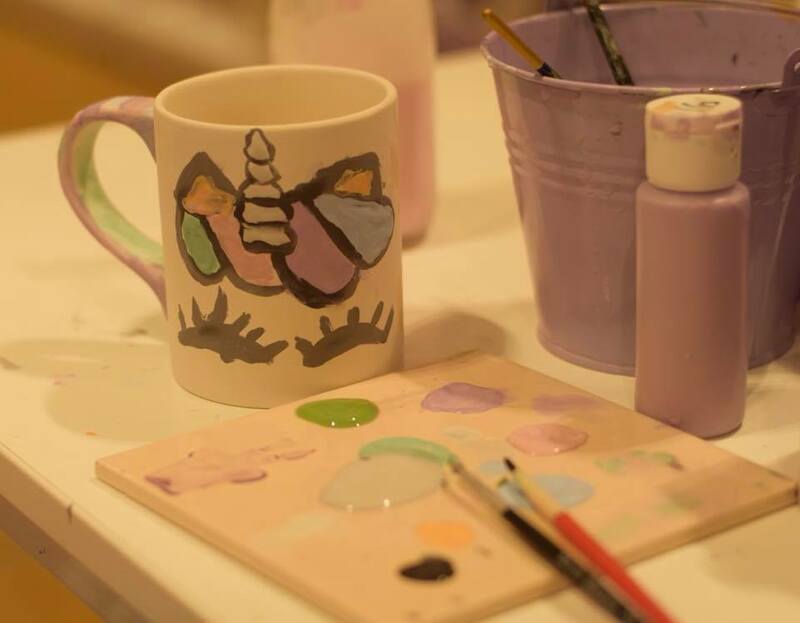 We had a lovely time pottery painting together, it was really nice to have some quality one on one time with my youngest child. 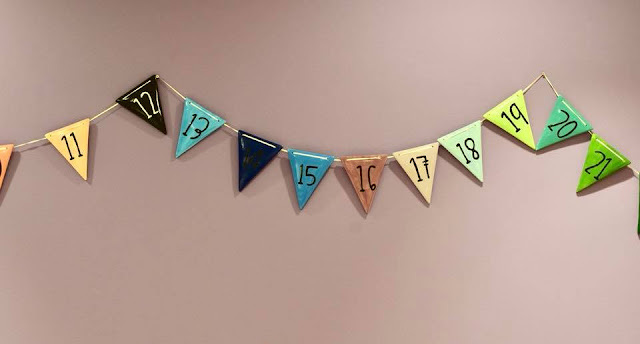 We chatted about our plans for the summer holidays and Elizabeth talked about her hopes and fears for starting year 3 in September. 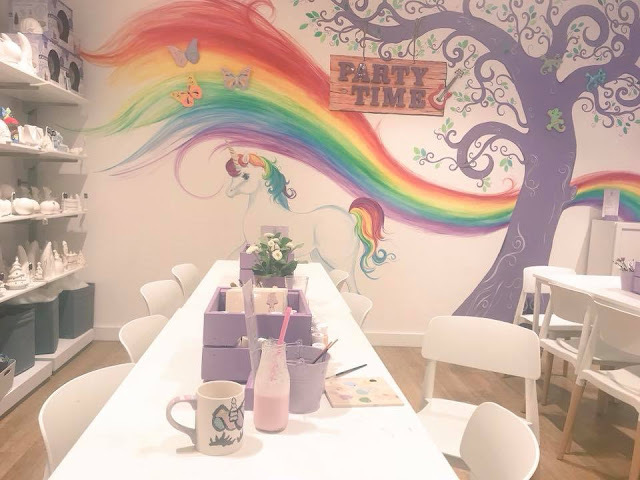 I'm certainly planning some more mum and daughter dates in the future and would thoroughly recommend Emily's Paint A Pot as the perfect location! The service was super friendly and the prices are great value, starting from just £8. 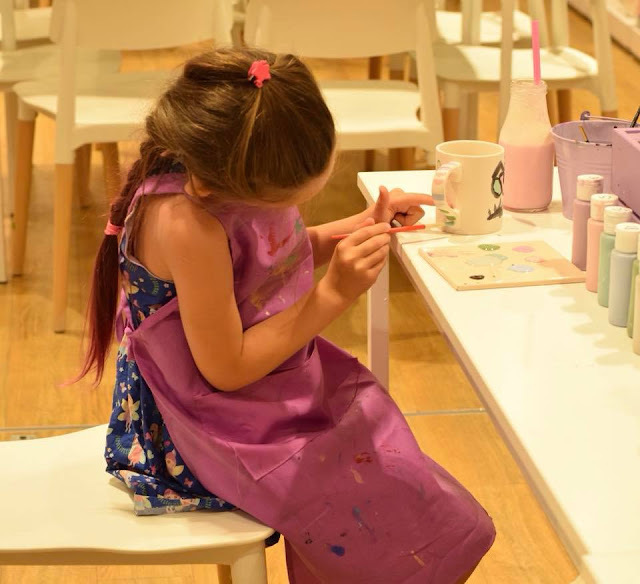 You don't need to be a child to join the crafty fun at Emily's Paint a Pot as they also offer Pottery and Proscecco evenings too! Check out the website and social media pages, Facebook and Instagram) for more details! 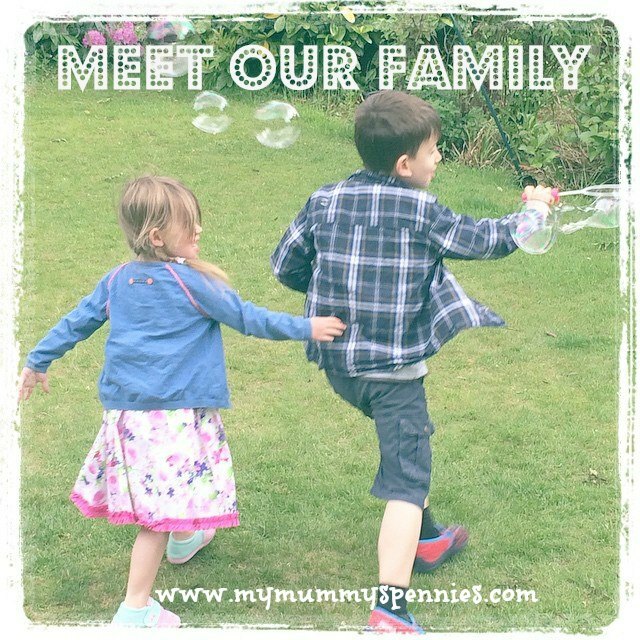 We were invited to experience our visit in exchange for this review, all opinions are our own.